Sony has perhaps stooped to a new low with the Wii remote rip-off they are calling Sony PlayStation Move. 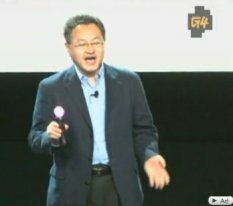 At their GDC conference yesterday, Sony unveiled their new Move remote and immediately the web lit up with criticism over how they are only copying Wii’s remote. This is being promoted as a move by Sony to steal away the gamers, and thus the market share, that the Wii currently dominates. It’s yet to be seen how the marketplace will respond, but if Twitter and the blogosphere is any indication (and I think it is…) Sony has definitely not impressed anyone with the Sony PlayStation Move!